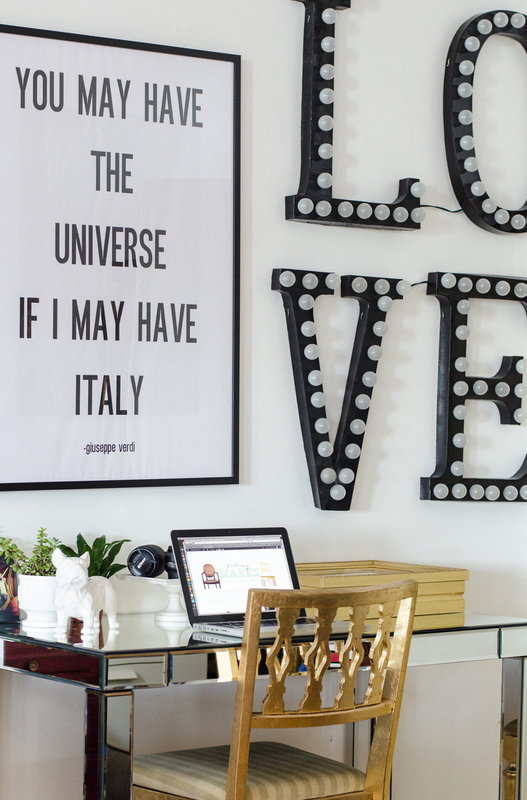 Making your own marquee sign is an easy way to ramp up your home’s style. Whether it’s your favorite word, the first letter of your name, or a symbol that you love, marquee signs will light up your home while doubling as decoration. Jump on the trend and make your own festive marquee sign with the help of these seven ideas from the editors at Porch.com! It’s five o’clock somewhere and this happy hour marquee sign is here to remind you! 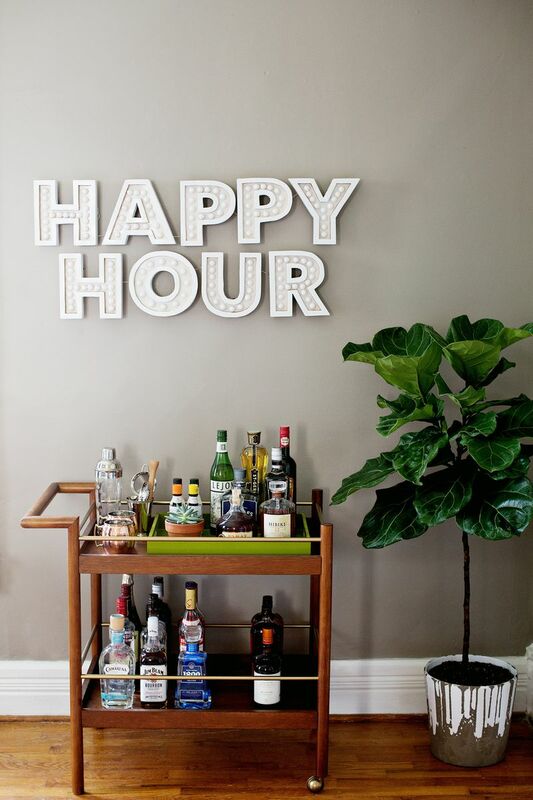 Create your own happy hour central with a sign above your bar cart that you won’t be able to miss. 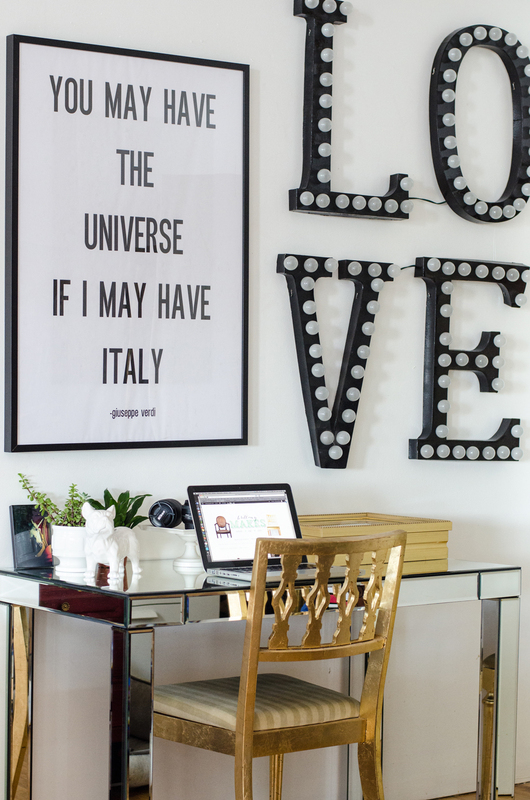 Frosted bulb lights and large black letters complete this radiant love marquee sign. Originally made for a wedding ceremony and later used for home decor, see how to make your own here. 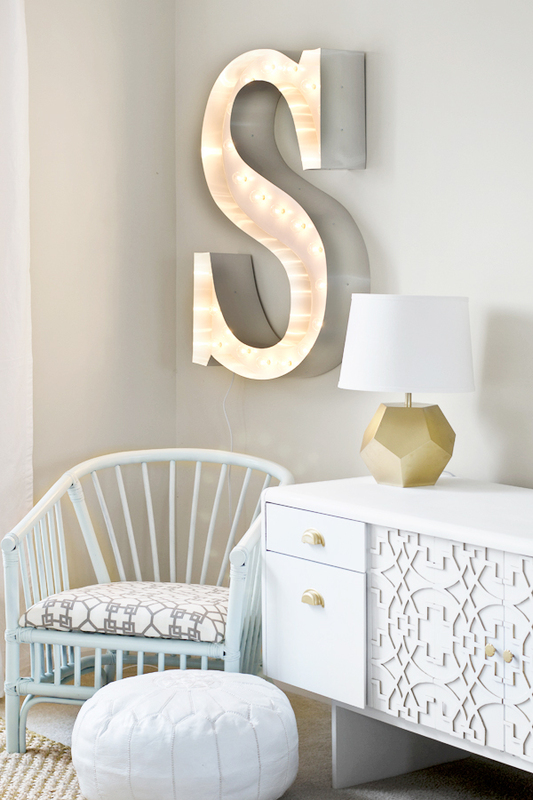 Make a statement in your home by featuring a large marquee letter, like this aluminum “S” that ties the whole room together. Light up the night by dropping anchor on your back porch. 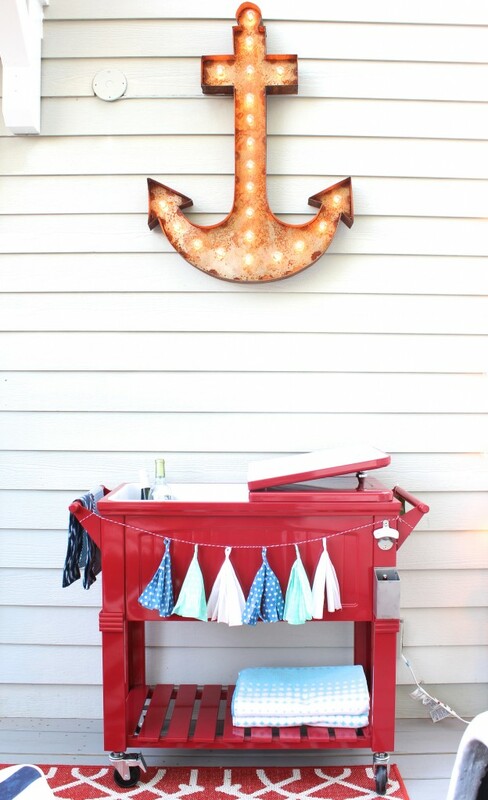 This DIY anchor marquee sign makes for the perfect outdoor decor! 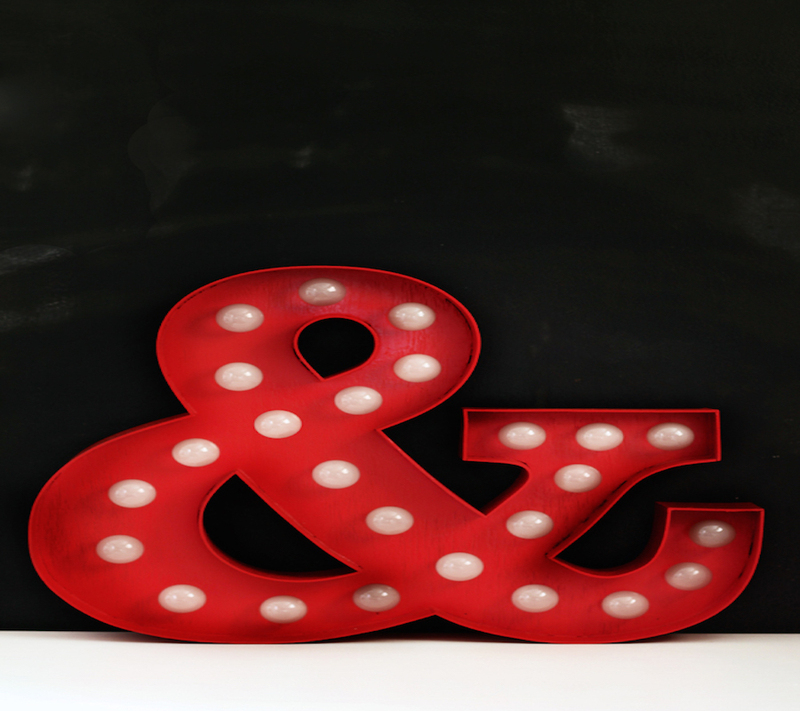 This DIY marquee sign takes an unfinished letter and turns it into a hot red decor item. 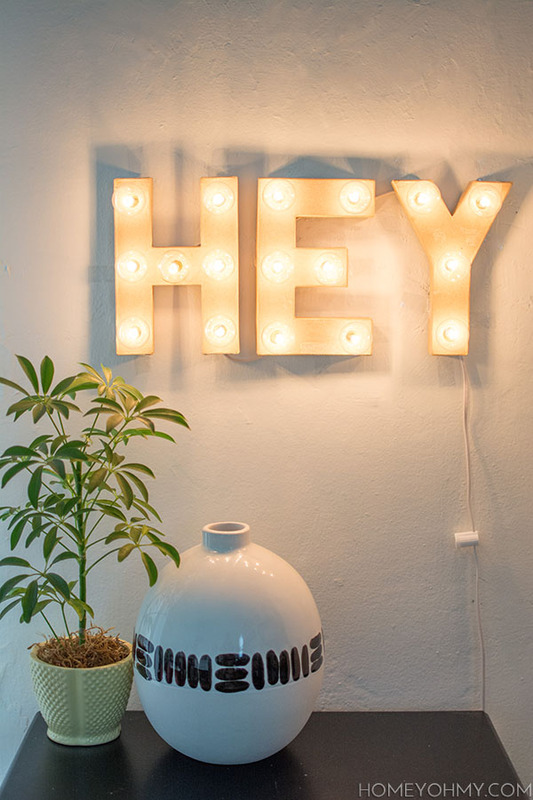 A couple of cardboard letters, X-Acto knife and string globe lights are all you need to welcome your guests with this simple “HEY” marquee sign. 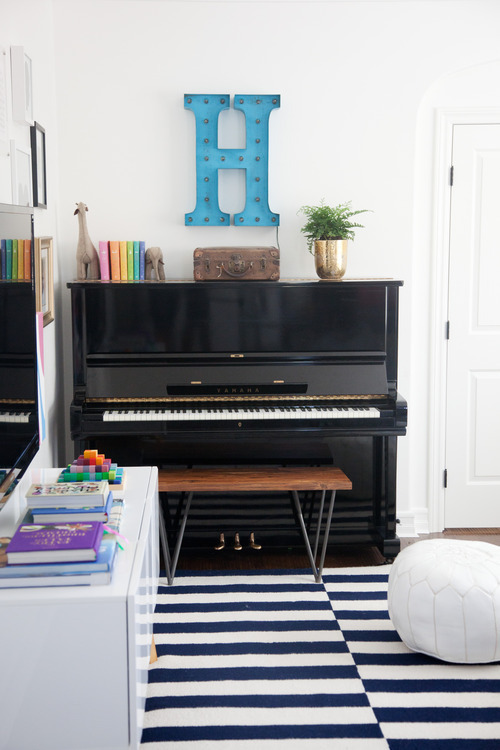 Bring your music room to life with a colorful wall decoration, like this bright blue marquee letter.